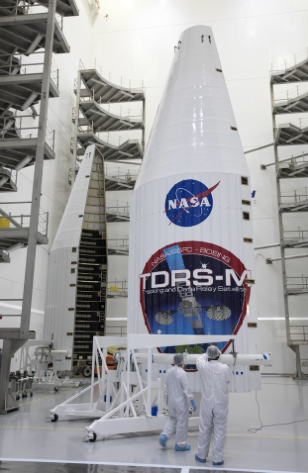 Earlier this week, Satnews.com reported "During the closing launch processing of NASA's Tracking Data Relay Satellite TDRS-M spacecraft, an incident occurred that may have damaged the satellite's Omni S-band antenna." Now it's established that it is a fact, that the antenna was damaged. NASA and Boeing officials are looking into whether an incident that damaged an antenna on a next-generation satellite planned to launch August 3, will change the mission’s timeline. With a 40-minute window for the launch beginning at 9:02 a.m. officials aren't committing one way or the other as to whether the damaged antenna will delay the launch. The accident took place during the 'final spacecraft closeout activities', according to a report from NASA. The episode occurred Friday and was announced on the agency’s website Saturday. It's reported that United Launch Alliance and NASA officials did not immediately return emails requesting comment.